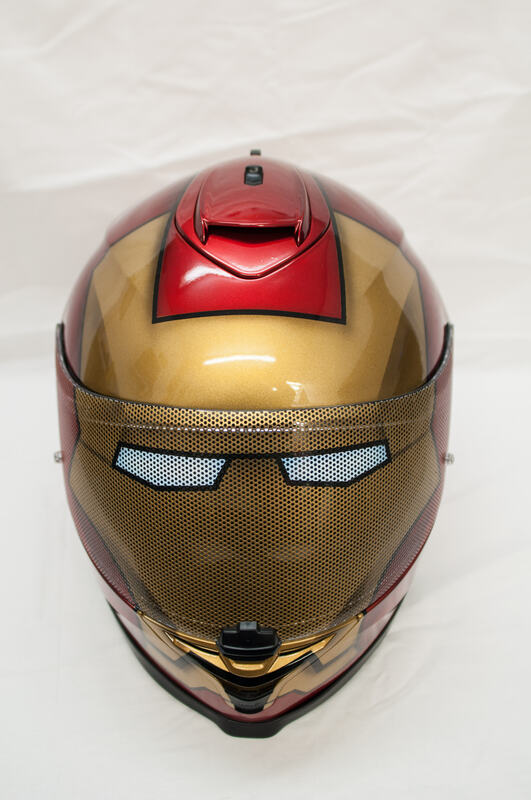 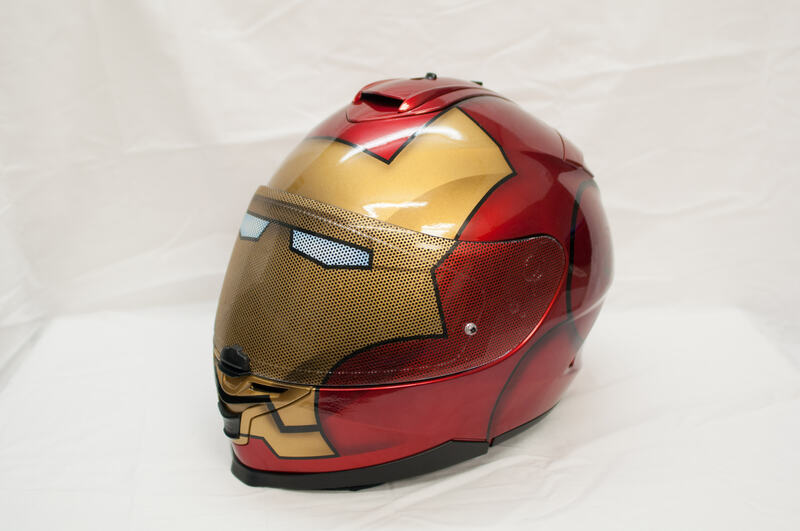 The Iron Man helmet design is the first of it’s kind to be offered by Kustomflow. 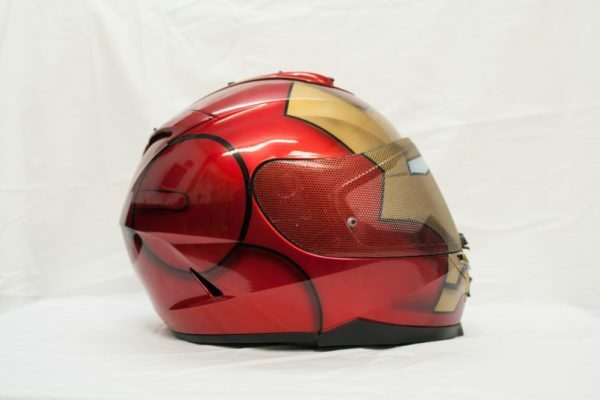 The helemt features a fully Custom painted helmet with matching painted helmet visor using a specialised 50/50 ContraVision Vinyl film which is painted and applied to the visor. 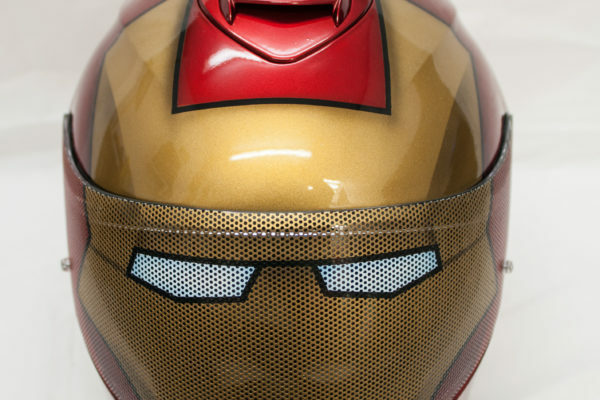 This new concept allows for unlimited possibilities with helmet designs.